I took advantage of good seeing on October 5th to capture this image of AR2683 before it traveled over the solar horizon. 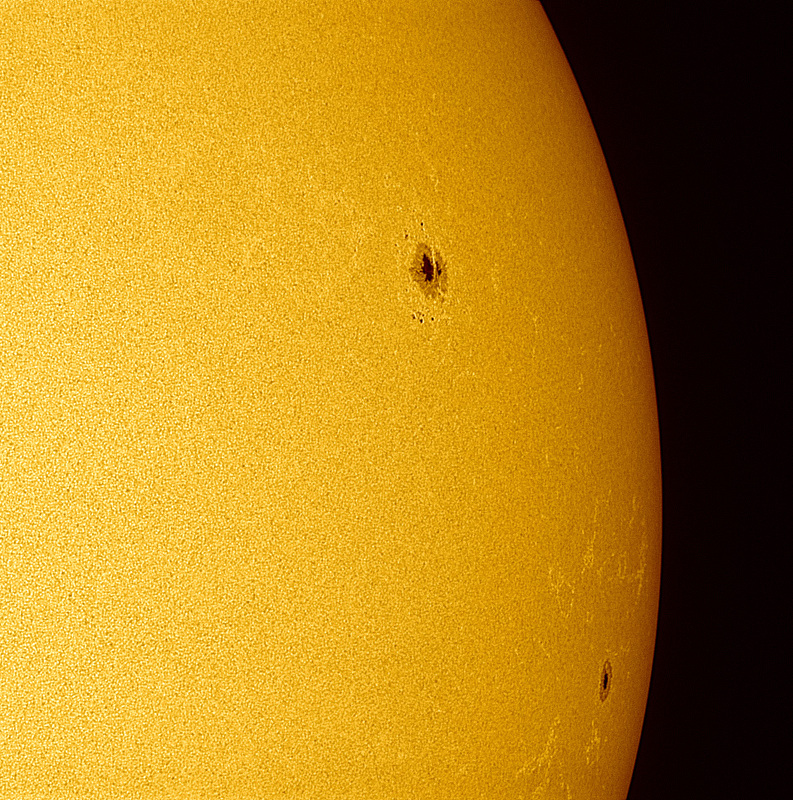 The smaller sunspot is AR2682. The image was taken with a PG Chameleon camera through a 2x Barlow and a Herschel Wedge on an ED80 scope, the image scale was 0.78 arcsecs/px.